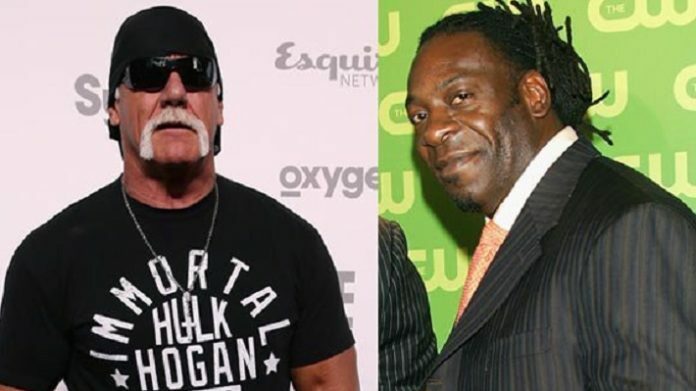 Booker T On Hulk Hogan Returning To WWE: "Everybody Deserves A Second Chance"
WWE Hall Of Famer Booker T became the latest veteran personality from the WWE Universe to speak publicly about the possibility of Hulk Hogan coming back to the company. As noted, TMZ Sports ran an article where they claimed Hogan returning to WWE is close to a done deal. Booker explains why he would be cool with the decision, noting “The Hulkster” helped him early in his career in WCW. From there, Booker got deep and spoke about Hogan using the “N-word” in the past and claimed that he won’t be part of a group that blacklists a fellow legendary wrestler who has given so much to the business. What do you think about Hulk Hogan returning to WWE? How about Booker T’s take on the topic? Sound off in the Comments section below.